I'm an animal lover. Recently, I had been for a dog show in Hamilton. It was a very big show with varieties of dogs. I purchased one which is just 1 year old. When I bought it home my kids were quite happy. He is a very cute Pug. They started calling him Max. I and my kids together had cut its fur and cleaned it. But now he is completely injured. There are a lot of raccoons roaming around in the backyard. Last day morning when I opened the door I was shocked to see my Max laying down with the injuries. I think the raccoons have attacked him. My kids started to cry seeing the injured dog. They are asking me to kill all the raccoons. But that is not practically possible. I'm planning to hire a raccoon removal service to get rid of these raccoons. Because I'm tensed whether these raccoons will attack my kids or not. Now....how can I get my Max cured of the injuries. Should I take him to any vet??? Well of course you should take him to the vet! Good grief. No idea what to make of this post. Buying a dog at a show that requires fur cutting and cleaning is suspect enough. 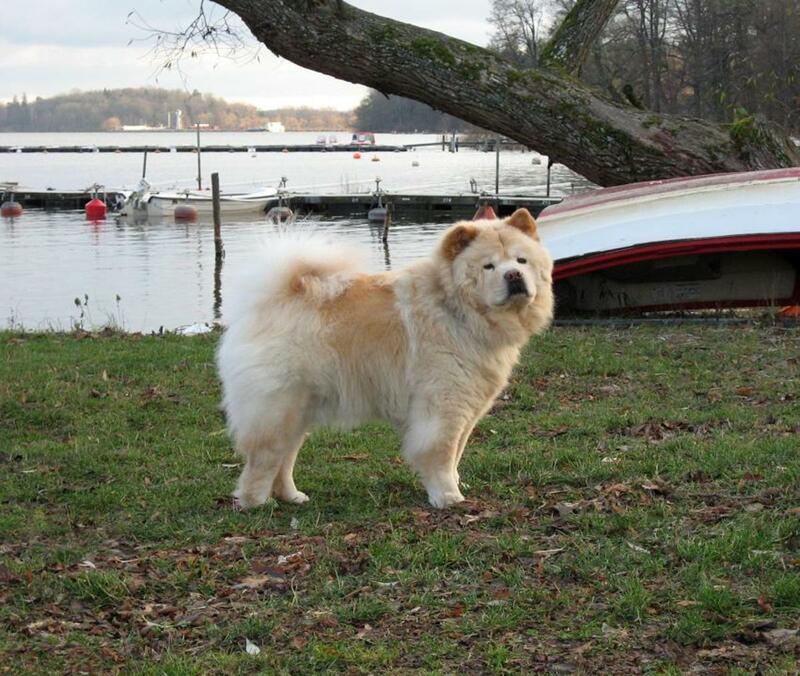 And then to describe the dog as a Pug while showing a Chow pic? And finally not being sure if a dog that was attacked by raccoons requires vet attention? Did the raccoons suddenly appear after the dog and were not a risk to the kids beforehand? Many people like myself spend time on this forum answering legitimate questions. This seems like a load of BS. Sorry, but if the original post doesn't seem real, then its just a waste of resources that are needed elsewhere.